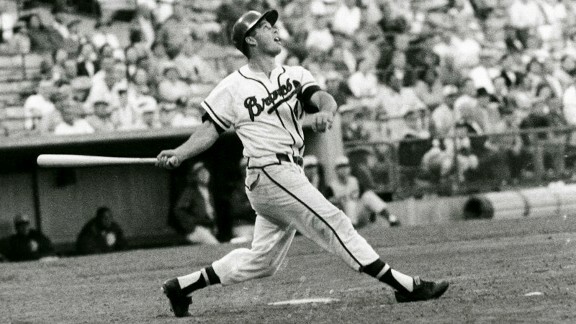 Hit at least 30 home runs in nine straight seasons (1953-61) and came up one home run short of making it 10 straight in 1962. He finished his 17-year career with 512 home runs, and led the NL twice. The legendary Ty Cobb watched Matthews as a minor leaguer, and said this: "I've only known three or four perfect swings in my time. This lad has one of them."